NEW YORK, NEW YORK, UNITED STATES, July 13, 2018 /EINPresswire.com/ -- Contracts are mutually binding agreements between two parties, written or spoken, that legally is intended to be enforceable by law. Many times in our lives we will all be asked to sign contracts but regrettably many of us will hurriedly sign it without reading the fine print an oversight that can end us costing us dearly. Myrna L. Fischman Ph.D., is an esteemed Professor, Chairman of the Department of Accounting, Taxation and Law at Long Island University’s Brooklyn Campus and licensed CPA. Myrna has been Chair of the Department of Accounting, Taxation & Law at the Brooklyn Campus of Long Island University. Since her early youth, Myrna displayed a remarkable aptitude for learning and was only fourteen years old when she got her first job as a bookkeeper. Her innate sense of work ethic has prudently guided her throughout her notable, illustrious career. Myrna’s strong desire to continue advising others is a testament to her solid leadership qualities genuine sense of thoughtfulness. Myrna double majored in accounting and education with a definitive goal of eventually becoming a Professor and she enjoyed a rewarding career teaching at at C.W. Post. Brooklyn’s campus. As a CPA she learned the value of accounting and how it encourages people to keep vital records. Myrna is the recipient of a number of prestigious awards including a 2014 Department of the Treasury Award from the IRS, a 1997 Special Director’s Award in Recognition of 40 Years of Service in the Volunteers in Technical Service Program, and most recently a Distinguished Worldwide Humanitarian Award. She attributes her success to having a good sense of humor and having a strong fellowship with her co workers which she emphasizes is essential in the work place. 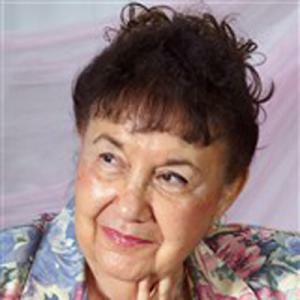 CUTV News Radio will feature Myrna Fischman in an interview with Jim Masters on June 13th, 20th, and 27th at 2 p.m. EST.